Antony (Tony) Richards was last seen on 04/28/18 around 1000 hours when he left his house to go hiking. Tony was scheduled to return by 1500 hours but did not return home. Tony's vehicle was located at Perality Trail Head but he was not with his vehicle. Tony is an experienced hiker and has hiked this area before. It is unlike Tony to be gone this long without contacting his family and they are very concerned for his welfare. Tony has a goatee. 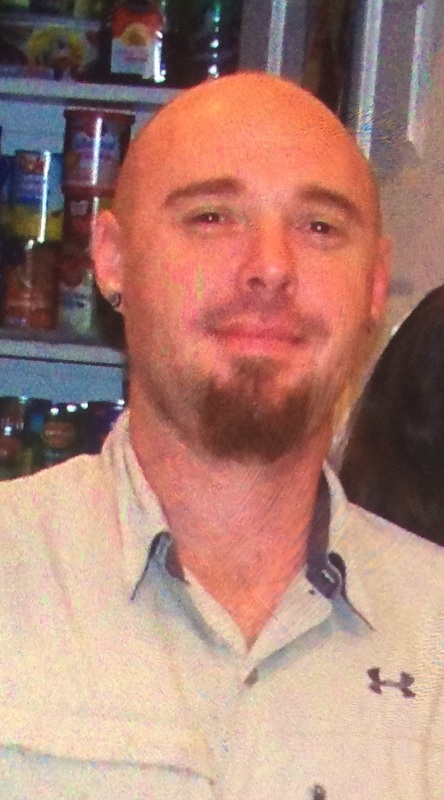 He was last seen wearing a brown and tan Underarmour short sleeve shirt (like the one in the photo), black shorts, blue and black camo fishing hat and hiking shoes. Tony has a 3 inch tattoo of a tribal "E" on the inside of his left writs and on his left bicep is a tattoo of a tribal shark with a flower.